Although existing measures of religiousness are sophisticated, no single approach has yet emerged as a standard. 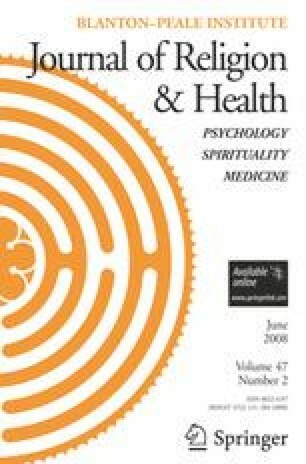 We review the measures of religiousness most commonly used in the religion and health literature with particular attention to their limitations, suggesting that vigilance is required to avoid over-generalization. After placing the development of these scales in historical context, we discuss measures of religious attendance, private religious practice, and intrinsic/extrinsic religious motivation. We also discuss measures of religious coping, wellbeing, belief, affiliation, maturity, history, and experience. We also address the current trend in favor of multi-dimensional and functional measures of religiousness. We conclude with a critique of the standard, “context-free” approach aimed at measuring “religiousness-in-general”, suggesting that future work might more fruitfully focus on developing ways to measure religiousness in specific, theologically relevant contexts. The authors wish to thank Farr Curlin and Adam Cohen for helpful suggestions on earlier drafts of this manuscript. Financial Disclosure: This work has been supported in part by a grant from the John Templeton Foundation (JTF #2065). Proprietary Statement: The authors have no proprietary or financial interest in this work.